Why Are More People Choosing Narrow Lot Homes? The Australian dream used to be a family having their home built on a large block of land, coupled with an equally large garden. Whilst this is still possible, the cost of land in recent years has made it less feasible for many home buyers. Those who are able to afford a big house may have to make sacrifices when it comes to style, features and location. 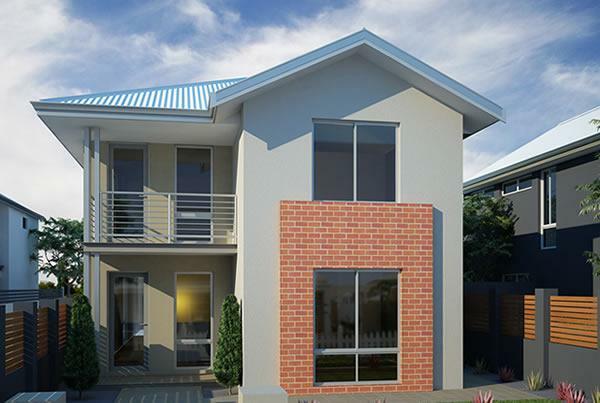 More and more Australians are realising narrow lot homes are the way to go. Narrow lot homes are houses built on a small or thin area of land. There are an increasing amount of innovative, creative designs so you can find one to match your needs. Generally narrow lot homes are easier to clean. As there is less area, it is far cheaper to heat and cool narrow lot homes. Gardening is also simpler so strenuous chores like mowing the lawn and pruning may no longer be an issue. By living in a narrow lot home you will be able to put the time and money you have saved towards spoiling yourself and your loved ones. Many people find it difficult to switch off and relax but narrow lot homes encourage you to relax and spend quality time with your family. In a smaller house you will find you will be more involved in your families lives as your both you and children will find it harder to disappear for hours on end to spend time on the computer. With narrow lot homes, nothing goes to waste. Every area is utilised so you’ll never feel like you are wasting space and you definitely won’t be able to hoard clutter. With the right home builder, your house will be far more efficient and functional than the average household. This is fantastic considering they are such an affordable option in the expensive housing market. Feel like it might be time for a change? Renowned Homes will make sure you don’t miss out on the benefits many Australian families are experiencing living in a narrow lot home. Call us now on (08) 9202 92555.